I'm sure there's some segment of the population that will tell you that the USB ports are actually for recharging your device (then why are there 2? ), but I prefer the idea of giving users a more visceral reason to second guess their impulse to pick up strange USB drives they find on the ground. 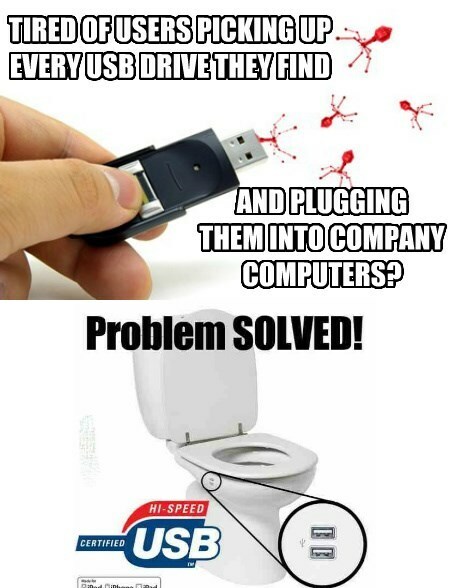 Try as I might, I couldn't find a picture of that USB toilet without the "Problem SOLVED" caption, but that just forced me to get creative.